Next, you will have a free consultation with Dr.Daniel Secrest,DC, to discuss your health-related problems, concerns, as well as potential treatment options. 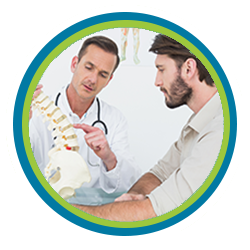 Your first visit is designed for Dr. Dan to learn more about you, your condition and your expectations, to determine whether chiropractic care will help you meet your goals. Should you wish to proceed at the conclusion of your consultation, Dr. Secrest, will perform a complete chiropractic examination, testing your reflexes, your ability to turn and bend, as well as other standard neurologic, orthopedic, postural, and physical examinations. Nothing will be done in our office without your consent. Your specific condition may require us to take x-rays to to get a full evaluation of a patient. X-rays help us rule out more serious conditions or assist us in developing the most effective treatment plan for you. Most people are amazed once their x-rays are reviewed by the doctor and they can often immediately identify their misalignments and their degeneration themselves. 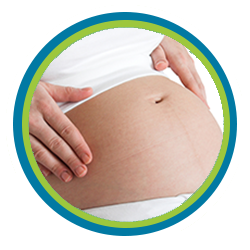 Be sure to tell the doctor, if you think you might possibly be pregnant or have any other reason you should not have x-rays. After discussing your history and your goals with you, examining your spine and reviewing any x-rays or tests, Dr. Secrest, will then discuss recommendations for you. If you have a condition that requires care with other providers, he will also tell you. If Dr. Dan believes he can help you, he will recommend a Plan of Action which will include treatment, at home exercises/stretches and a follow-up wellness program. Patients will generally be provided with their first treatment at the conclusion of the appointment. This may include spinal adjustments, physicaltherapies, and/or soft tissue therapies. Treatment is interactive with you so you can express any concerns you have about the style of adjustment with which you will be most comfortable. Dr Secrest has many gentle and effective techniques in which he is proficient and will treat your needs with total professionalism and care. Prior to leaving, patients will be instructed on a wellness program to be conducted at home. If you are in pain when you first come into our office, this may include ice or heat application instructions, avoidance of certain activities or positions, as well as home exercises and/or stretches. If you desire an overall wellness lifestyle, our wellness team will work with you to create good habits and routines that support your success. Every body is unique and different and therefore everone requires a unique and customized wellness plan. The foundation of our overall wellness lifestyle is maintaining healthy posture and good spinal alignment, eating a healthy diet, taking supplements, keeping your weight under control and relieving unproductive stress.